South Korea’s financial regulator plans to raise the limit of recharging credit on mobile payment platforms from the current 2 million won ($1,782), as part of its plans to ease rules on quick payment services, an official said Thursday. The new plan addresses the growing ire among mobile platform operators and users on the 2 million won recharge cap, which makes it impossible for users to purchase goods that cost more than the stated limit through payment systems such as Kakao Pay or Naver Pay. The decade-old regulation, which in essence aims to protect mobile payment users from the risk of bankruptcy, will be replaced with updated protection measures such as depositing a portion of the used credit in an offline financial institution, an official at the Financial Services Commission said, adding that the measures will be finalized by end-March. The report comes as the government is struggling to embrace the mobile payment market, which has grown exponentially in size in recent years. 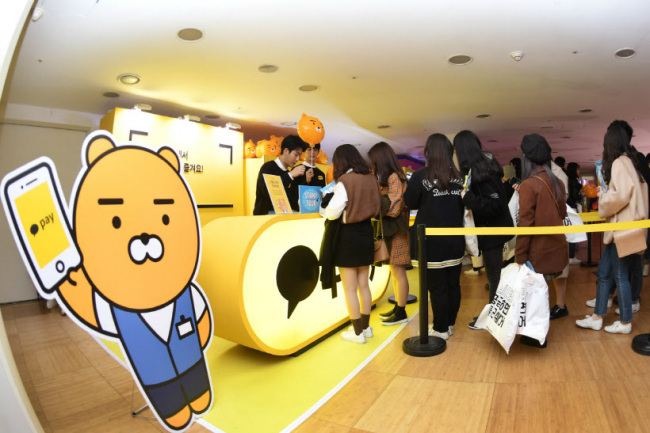 Kakao Pay recently said that its annual transactions in 2018 surpassed 20 trillion won.